Buckling kids into their car seats is a daily routine for many parents as they get in the family car. But when using rideshare services, car seats are often not available, making getting from point A to point B with a small child more complicated. Most rideshares don't have car seats installed, and it can be inconvenient to bring one along. But car seats reduce the risk of injury during a crash by 80 percent, according to Consumer Reports. And in the D.C. area, it's legally mandated to buckle kids up. 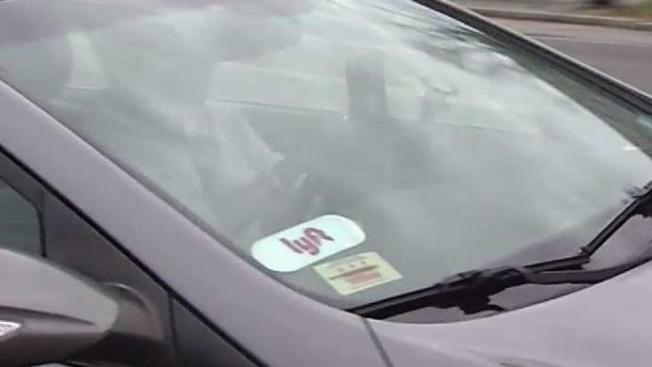 Some Maryland parents are warning children are using gift cards to help book ride-share services, including Uber, without permission from mom and dad. News4's Scott MacFarlane reports. Generally, in D.C., Maryland and Virginia, it's illegal to transport a child who is not properly restrained. But each locale has unclear laws concerning who's responsible for providing and installing safe seating for kids in rideshare vehicles. But the law doesn't detail who must provide, install and secure the child in the restraint. The law also doesn't specifically detail the duty of rideshare drivers. There are also exceptions. In Virginia, taxis and for-hire vehicles are exempt from seat belt laws, according to a study from Virginia Tech. But it's unclear if that exemption is extended to rideshares. The ambiguity causes headaches for rideshare drivers who arrive to pick up a passenger and find them traveling with a small child. "I will not take them. The liabilities are just too much for me," one driver said. Some options, including Uber Family, allow caregivers to request a vehicle equipped with a car seat. But that isn't available in all states. The Virginia Tech researchers found about half of parents who brought their kid into a rideshare reported not using appropriate safety seats. Many said they were interested in using a car seat, the study found, but were deterred by a lack of options and uncertainty about the rules.